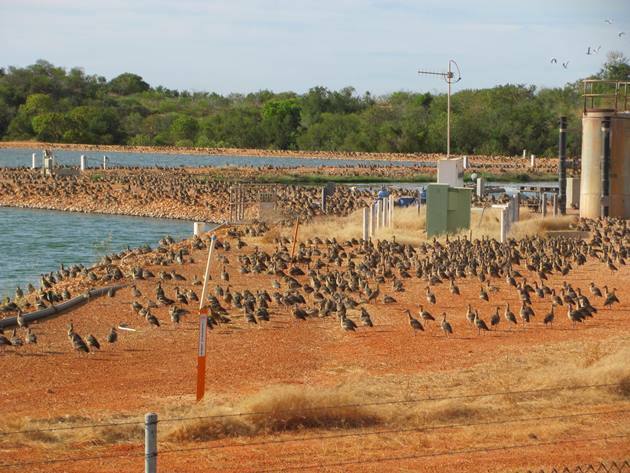 Last week I mentioned the steady increase of Plumed Whistling-Ducks to the Broome Poo Ponds and that they now number in the thousands. 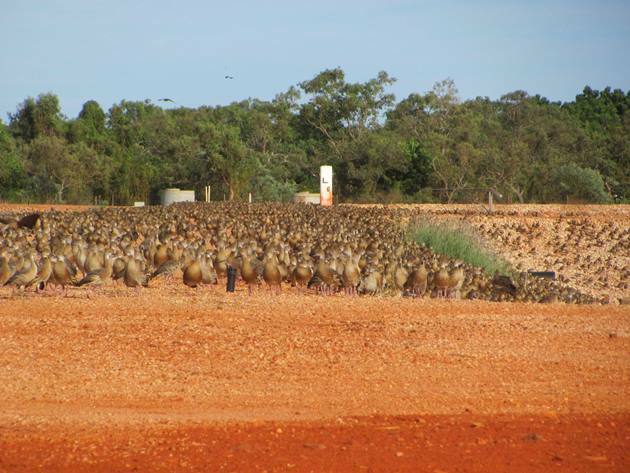 As the land starts to dry out the Plumed Whistling-Ducks head for remaining fresh water around Broome and the ephemeral lakes are good locations for them to move to, but the Poo Ponds are also ideal. 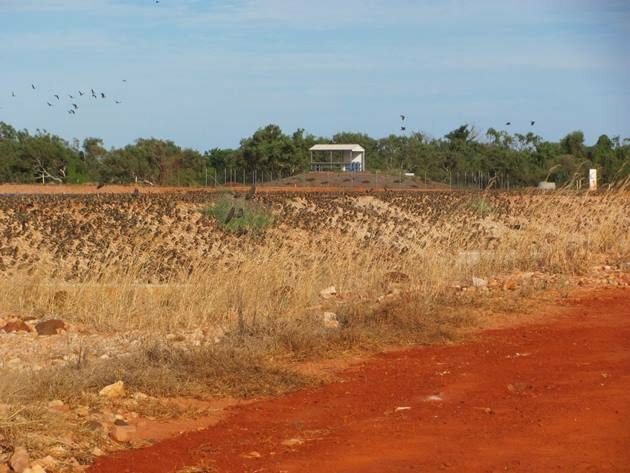 Although the Poo Ponds are right in town they are also close to the Broome Golf Course and the grass at the Golf Course is watered via the recycled water from the Poo Ponds. The Plumed Whistling-Ducks spend most of the day lining the edges of the ponds and then move onto the grass to feed later in the day. It is hard to do justice to the huge number of Plumed Whistling-Ducks at the ponds at the moment, but to say it is hard to find other duck species among them would be an understatement! 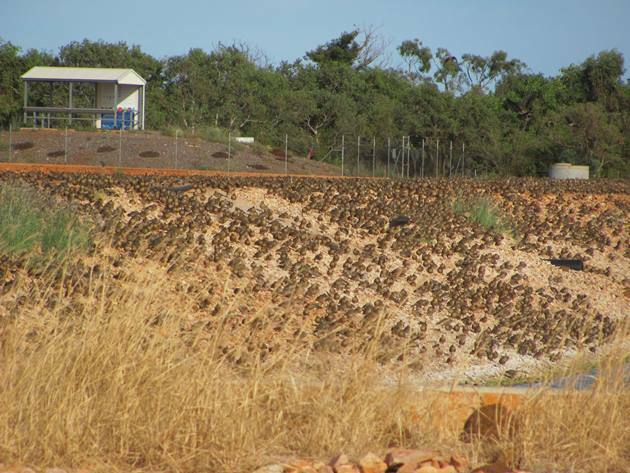 The header photo shows some of the thousands of Plumed Whistling-Ducks from the far side of the ponds looking back towards the Barndarlmarda Hut. 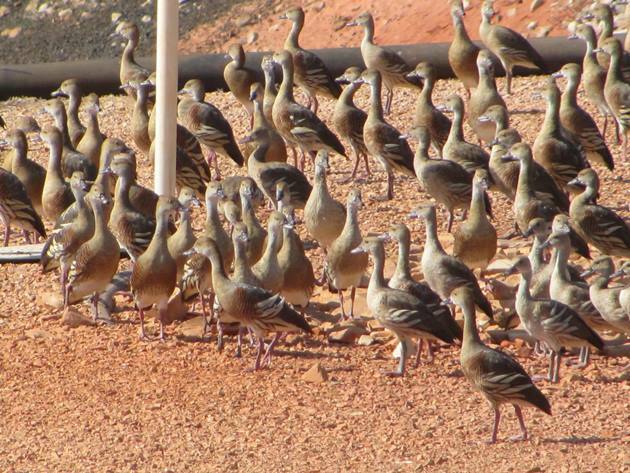 The numbers steadily increase all around the ponds and every wall and bank is covered in Plumed Whistling-Ducks now. 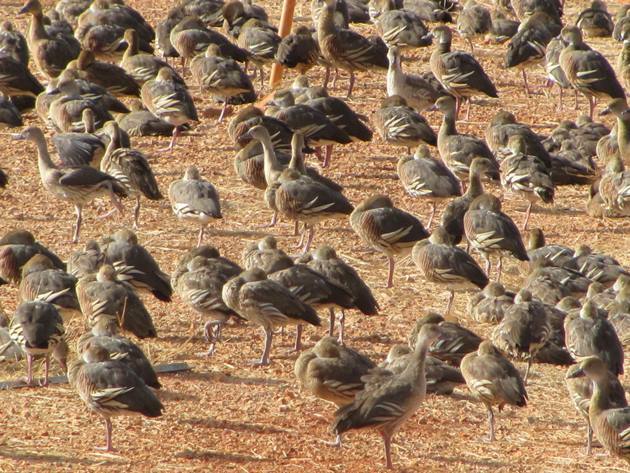 Continuing around to stand in the shade at the bird watching hut you soon realise the enormity of the thousands of Plumed Whistling-Ducks and they jostle for what little shade there is. They are the predominant species by far and although there are a few Black-winged Stilts and Black-fronted Dotterels present they are quite hard to find among all of the ducks! 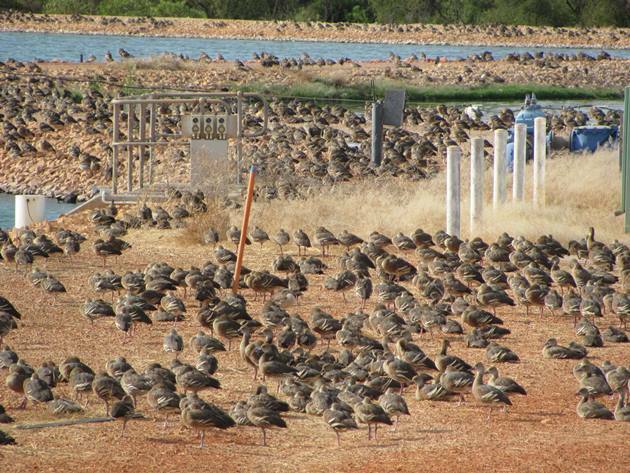 If you would like to add Plumed Whistling-Ducks to your bird list then you can’t go wrong with a visit to the Broome Poo Ponds! If you are wondering what sound they make-well, they whistle!